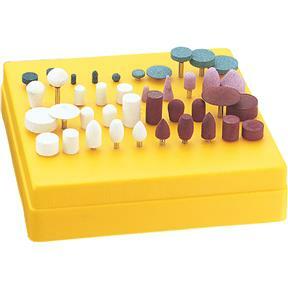 This set boasts 20 assorted vitrified-bond aluminum oxide stones, including four different grits. 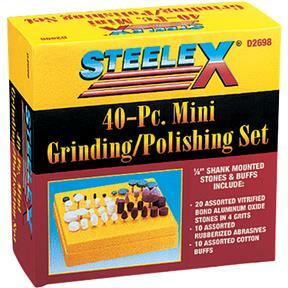 Ten assorted cotton buffs and ten assorted rubberized abrasives complete this package. 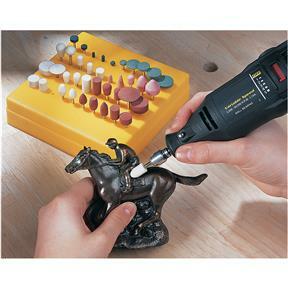 A must have for putting the finishing touches on any project!